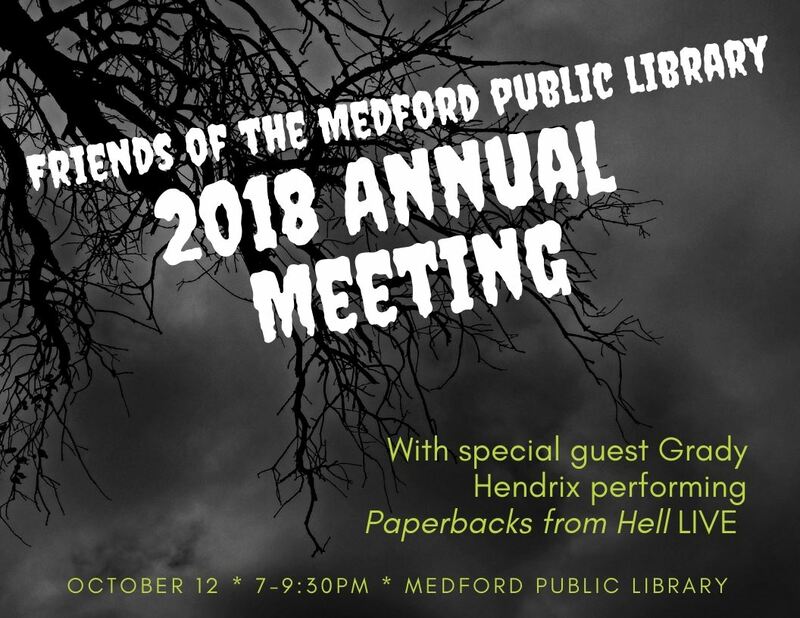 This year, we are excited to present special guest speaker Grady Hendrix doing his Paperbacks from Hell LIVE show. Doors will open at 7pm. The meeting will begin promptly at 7:30pm followed immediately by the show. Complimentary snack, beer, wine, and soft drinks will be served. Must be 21+ to attend. Q. Do I have to be a member of the Friends of the Medford Public Library to attend? A Yes. But membership is open to everyone and starts at only $15 so why not join today?